I love money. Yah, I said it and it’s true. I love money because it affords me the luxury of paying my bills, saving for retirement/emergencies and with what I have left after making those responsible money decisions, using the bit of disposable income I have remaining to travel, experience awesome cuisine, see my favorite performing artists and keep myself ensconced in the latest tech toys. Because I love money, I am required to work a 9 to 5 to get it (realistically I work 7 to 4:30 because I love the grind). I am like the other 119 million people out there categorized as working stiffs, required to report to ‘The Man’ in order to receive payment (get money) for the job function I perform. I’m fortunate that my ‘The Man’ is a chief officer team at a financial analytics and software company that I really enjoying working at. My compensation is set by our Senior Supreme El Hefe who is both a champion of the work I do for the company and someone that that isn’t shy about paying for strong performance. But who sets the compensation for the incredibly talented, smart and experienced coders that have created the software applications that allow me to work at company I love? I’ll give you a hint…she is the creator of the blog post you’re reading right now. 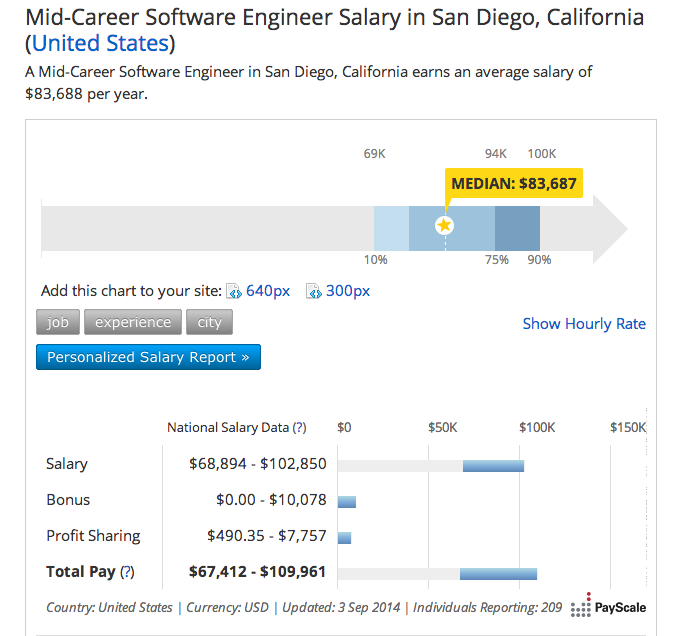 I work in partnership with our engineering executives on reviewing and setting compensation based on a number of data points to ensure that we are paying our coders/programmers/Python badasses not only what they are worth, but a fair and equitable compensation that allows them to enjoy life outside of the office. 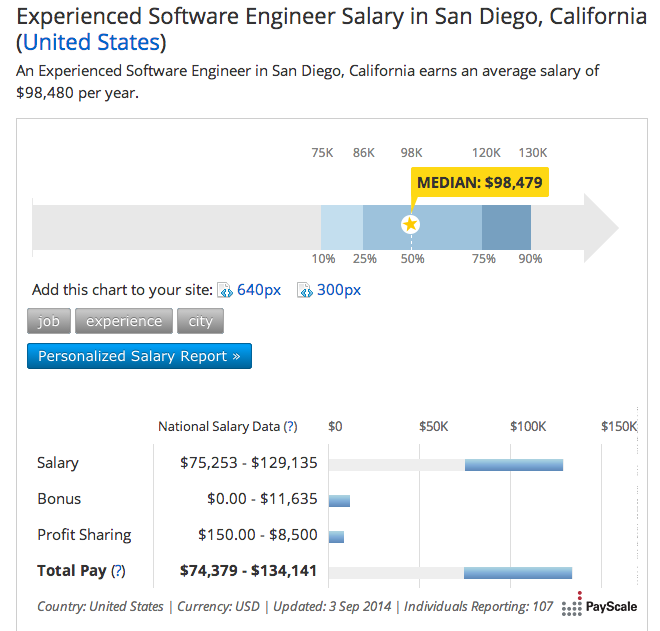 On the heels of a meeting discussing our 2015 compensation review strategy for our Development team it was serendipitous that I started my Sunday tech reading with this article on Gigaom discussing compensation ranges for coders. I am really loving that data for compensation of various roles at technology firms is becoming more transparent, standardized and accessible for those of us that are responsible for the total happiness score of our employees. Compensation, while typically not the highest determining factor in a potential candidate’s decision to join one company over another, still plays a big factor in reviewing total compensation. For the purposes of this conversation, total compensation consists of base pay, equity, time off, work-flex, Heath and Wellness programs, hardware/software tools and access to Learning & Development resources. I’m looking forward to taking this data and doing a deeper analysis when Gigaom/Alex follow up this article with a second article that will focus on software engineers that specialize in coding against different databases and big data firms, which is the space my company sits in. What data are you reviewing to ensure that you have a well-rounded understanding of how you compensate your coders compared to your competition? 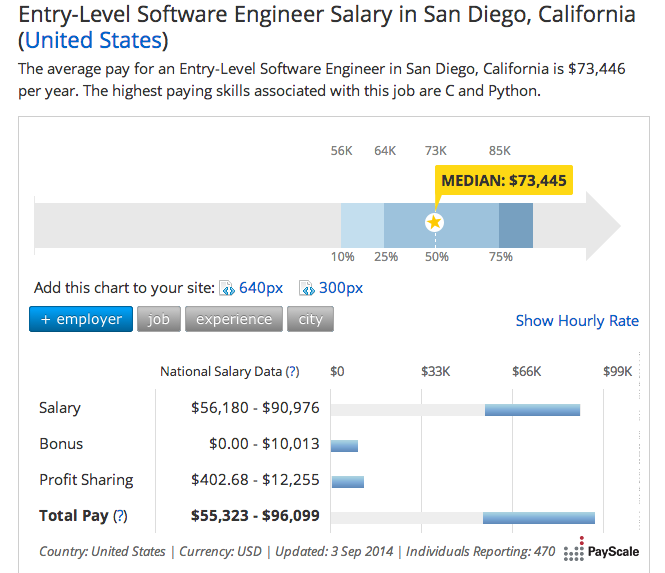 Props and mad credits to Alex Salkever, Gigaom and PayScale for providing me with inspiration, written fodder for HR thought leadership and data, because you all know how much #dataexcitesme. This entry was posted in Compensation, Human Capital Management, Human Resources, Talent Acquisition and tagged big data, compensation, compensation philosophy, competitive job market, computer professionals, software development, software engineers, total rewards. Bookmark the permalink.